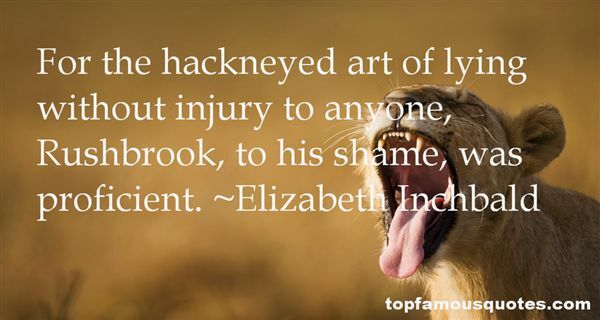 Reading and share top 1 Elizabeth Inchbald famous quotes and sayings. Browse top 1 most favorite famous quotes and sayings by Elizabeth Inchbald. I know what they said even if they would not say it to my face. People love to talk. They love to slander you if you have any substance."